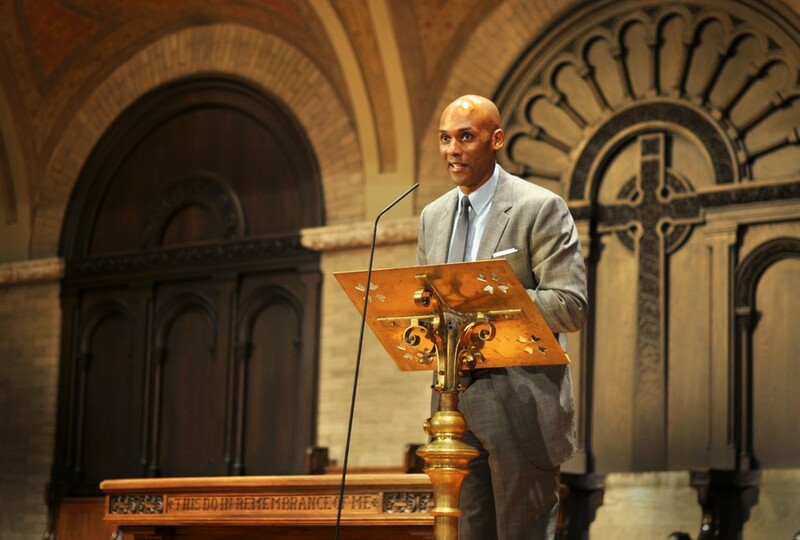 Keith Boykin, the highest-ranking openly gay person in the Clinton White House, spoke about his own journey of coming out at a lecture in Hyde Park Union Church on Thursday night. Now a political commentator and author, Boykin shines light on issues facing minorities in the LGBT community. He focused specifically on comparing prejudices toward the LGBT to the African American community during the civil rights movement, urging that people learn from racism. At Harvard, Boykin, along with classmate Barack Obama, led a campaign and lawsuit to diversify Harvard Law School staff. By describing his family’s disapproval and confusion over his identity and taking jobs with multiple failed campaigns, including with Michael Dukakis, Boykin urged that people follow the path they believe is right. “They think ‘compare’ is the same as ‘equate’,” Boykin said. While the situations are not identical, “the language used to oppress was the same.” He urges people to not think of African American and LGBT as “monolithic identities,” as there were gay African-American activists who struggled in the civil rights movement and are people who exist in both communities today.